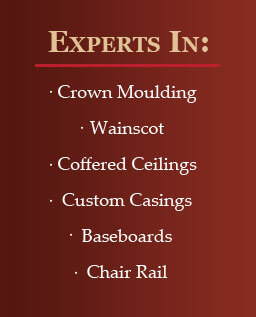 Heritage Crown offers a full line of moulding products installed to perfection by our professional craftsman. 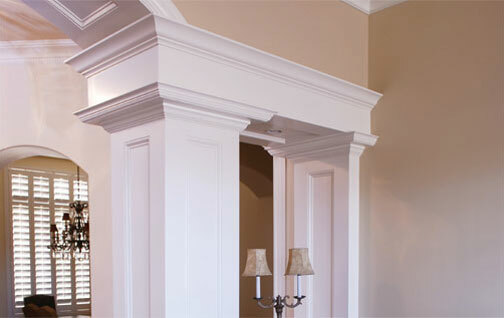 Heritage Crown and Millworks does crown moulding in Phoenix and offers a complete package from expert design consultation through installation and finally to the finish of the product. You don’t need to contract a designer, then a trim carpenter, then a painter. Heritage Crown is your one- stop shop. All the work is completed in one trip, seamlessly and without complications. Because you deserve the finest, Heritage Crown maintains the highest standard of quality. Our reputation has been built satisfying one customer at a time and making them so excited about the work we’ve done that they can’t help but share us with their friends. Heritage Crown will come to your home, measure the areas that you are considering, design a moulding package that will look great and fit your budget. Heritage Crown has everything for your crown moulding, baseboard replacement, coffered ceilings, wainscoting, casings, chair rail, mantels, and mirror frame needs. Whether it’s a traditional, modern, contemporary, rustic or Tuscan design– or anything in between–we can design the perfect solution for you. At our design consultation, we will look at samples and pictures of jobs we have done as well as take in your ideas and feedback. Give us a picture from your favorite architectural magazine and we will match that look for you. 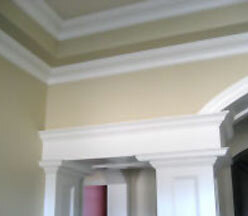 We do trim work and crown moulding in Phoenix, Mesa, Chandler, Tempe, Scottsdale, Ahwatukee and surrounding Arizona cities. 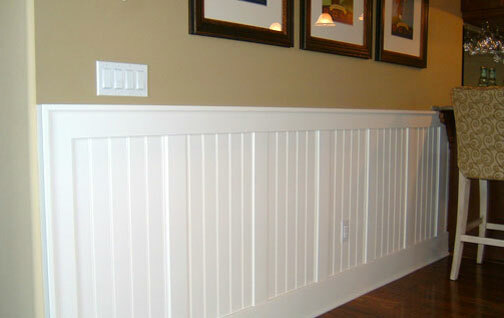 Upgrade from 5" to 7" Crown Moulding for FREE!